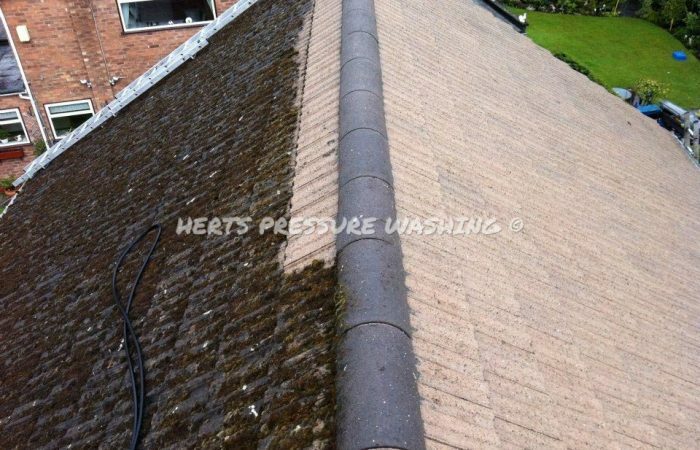 Roof Cleaning with many years experience. Fully Insured. Is your roof covered in moss? 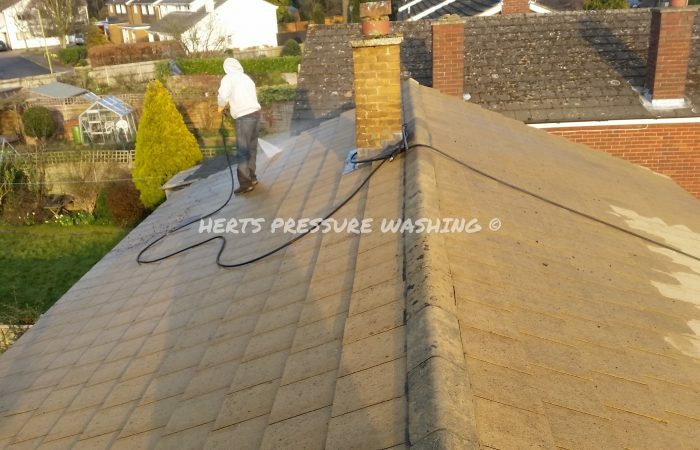 Herts Pressure Washing have been providing professional roof cleaning services around Hertfordshire, Bedfordshire and North London since 2008. 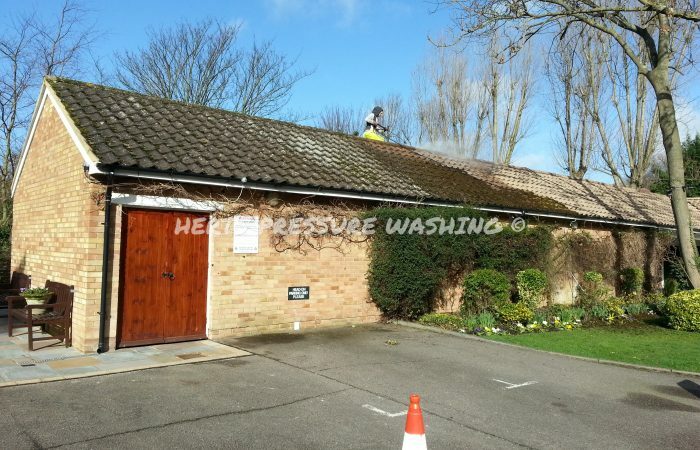 We clean both residential roofs as well as commercial roofs, including warehouse roof and fascia cleans and skylight cleaning. 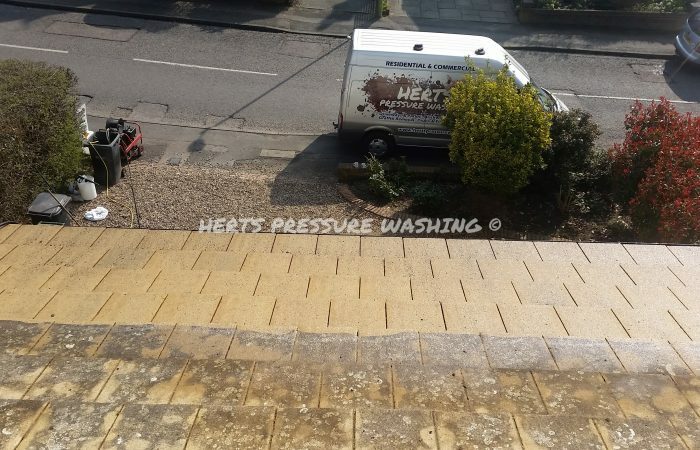 Is pressure washing my roof safe? Yes – All our staff clean roofs using the latest environmentally friendly ‘softwash’ chemicals. This ensures a much better result than using water alone, and reduces the need to use constant high pressure on your roofing tiles. 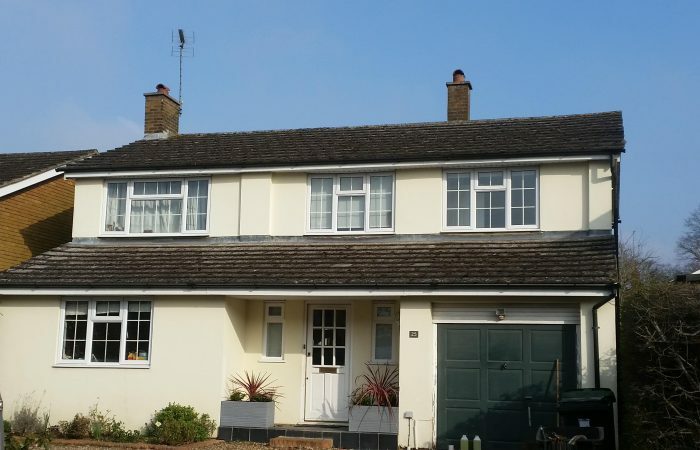 All our staff are trained to the highest standards, covered by £5m insurance, and have years of experience actually cleaning roofs- something you want to make sure if you are letting someone loose on your most precious belonging. 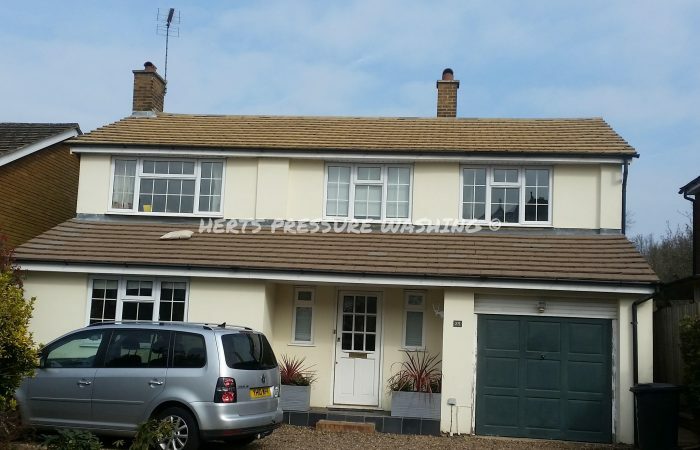 We cover all areas around Hertfordshire, Bedfordshire and North London, and we are happy to provide references and photographic proof of our many satisfied customers. CoSHH sheets and Method Statements produced upon request. 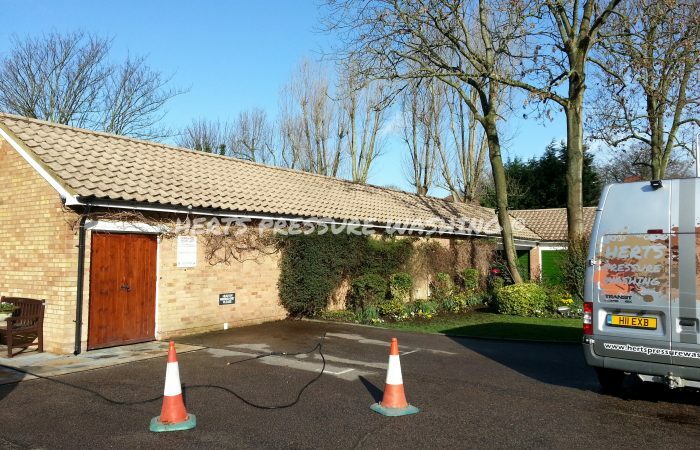 Get in touch with us for your FREE roof cleaning survey! Check out our recent work on our Facebook page. 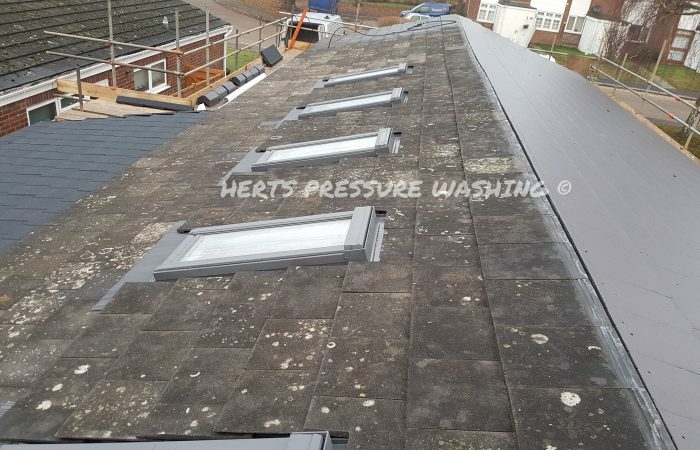 We are an independently owned company based in Harpenden, covering the Hertfordshire, Bedfordshire and North London areas. We specialise in both hot and cold washing, and have a fleet of kitted vehicles. All our staff are fully trained upto CSCS standards, and we are open 7 days a week. Copyright 2008 -2019. All rights reserved.